Homeownership comes with many new expenses. Some of these are easily anticipated, like homeowner’s insurance, mortgage insurance, property taxes, and homeowner’s association fees. Others, such as home maintenance costs, can vary wildly from year to year, often catching homeowners unaware. With the right information in hand, you can plan ahead wisely for many of the costs you may face caring for your home throughout the year. 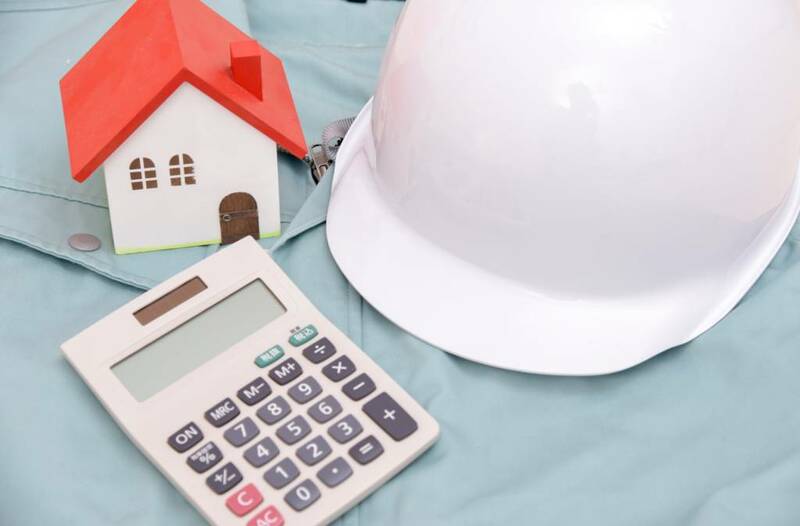 There are a couple of handy calculations that can help you estimate your average expected budget for maintenance costs for your home. One popular approach is the one percent rule. One Percent Rule: You will need 1% of your home’s value per year for maintenance costs. Using this tactic, you would need to budget $2,000 annually for a home worth $200,000. This comes out to about $167 a month. This budget will generally help you pay for home-related expenses like roof repairs, electrical maintenance, or plumbing issues. Another useful rule of thumb you might want to try is the square foot rule. Square Foot Rule: You will need 1 dollar per square foot of your home. House Prices in your area – are they inflated? If so, the square foot rule is probably more accurate. Maintenance Costs in your area – are they higher than average? If so, the one percent rule is probably a better match. You can also learn a lot about your expected home maintenance costs simply by mindfully tracking your regular costs from year to year. Many expenses are recurring, like annual maintenance for your heating and cooling systems, a professional gutter cleaning, and other such services. If you invest in professional property maintenance, you should include these expenses in your anticipated annual maintenance funds. The average cost for mowing and maintaining a lawn is $148. 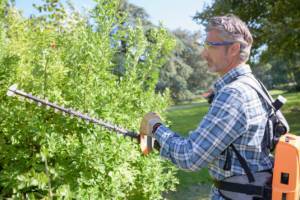 Trimming and removing trees and shrubs averages $739. Expect to pay about $123 to aerate a lawn and $241 for fertilization. If you do these tasks yourself, you may not need to account for the cost of a professional service, but you’ll still need to consider things like gas for your lawn mower, replacement blades, new fertilizer, and other supplies to tackle the job on your own. Think about the state of your home. How old is your roof, ductwork, furnace, air conditioner, and deck? Do you anticipate any major projects in the coming year? Many tasks are cyclical. Expect to paint your home about every seven years and update the caulking around the five to 10-year mark. Air conditioners and furnaces can last around 15 years, but some professionals recommend a duct cleaning midway through the system’s lifespan. You may find that many major replacements fall in the same year, making your expenses much higher than average during that time. Immediately following a repair or replacement, you can expect your expenses to drop again. Note the year each of your appliances was manufactured so you can anticipate the time when you’ll likely face more frequent repairs or the need for a replacement. Refrigerators last nine to 13 years. A range will live for about 14 years, and dishwashers last around nine. The average water heater lives for 10 or 11 years. Nearing the end of its lifespan, each of these appliances is more likely to have repair needs. If you have a lot of older appliances, your maintenance expenses will be higher than they will be if your products are mostly new and still covered by warranty. There’s no one-size-fits all number to help homeowners budget for their maintenance expenses, but taking the previous considerations into account can help you come up with a general idea of what you might spend in a year. Set aside an appropriate sum if you can, so you’re never caught in a hazardous situation with no funds to handle the repair. Another smart way to prepare for home maintenance and repairs is to invest in a home warranty. Your warranty will cover routine repairs and even complete replacements when an appliance or system reaches the end of its lifespan. This can become a money-saving solution, particularly if you have a lot of repairs to deal with in a year. However you choose to tackle your home maintenance, planning your spending in advance is the best way to keep your house in prime condition throughout the year.